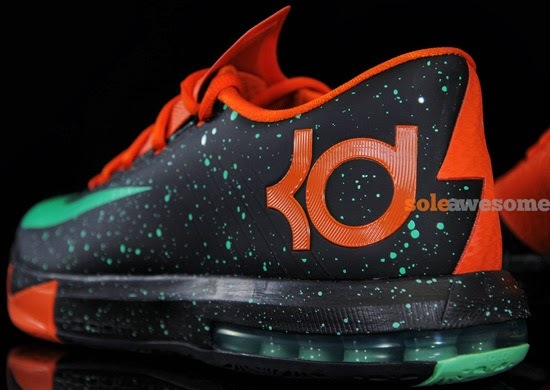 Another look at this upcoming KD VI colorway set to drop later this month. 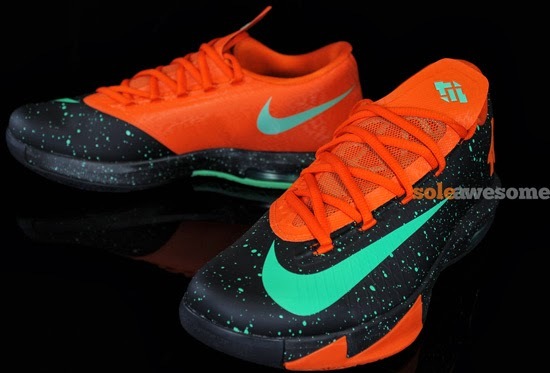 With Halloween right around the corner, this new Nike KD VI colorway ties in perfectly with the season of the pumpkin. Known as the "Texas" or "Glow-In-The-Dark" edition, this pair comes in black, green glow and urban orange. 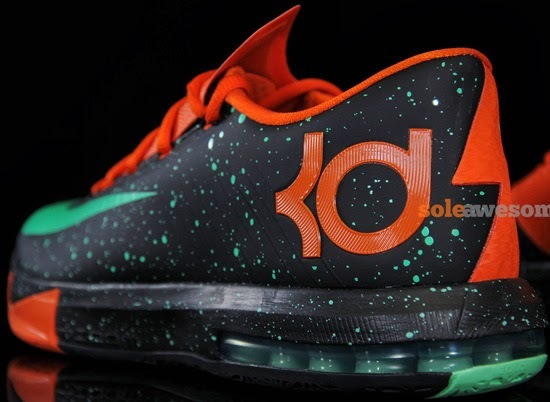 They feature a black based upper with a glow-in-the-dark paint splatter design throughout. 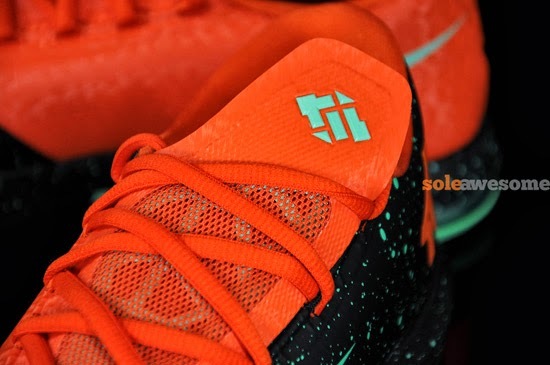 Orange accents the laces, sockliner, tongue, "KD" logo and parts of the sole and inner part of the shoe. A limited release, look out for these at select Nike accounts worldwide on Thursday, October 10th, 2013. Retail is set at, $130. 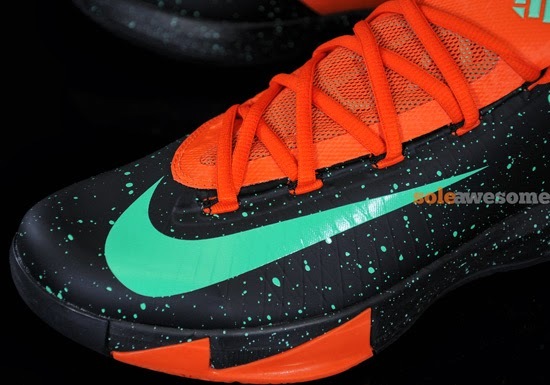 Enjoy the detailed images below of the "Texas/Glow-In-The-Dark" Nike KD VI in black, green glow and urban orange. If you're interested in picking these up when they release, check in with your local spots to see if they will be receiving them. Those of you looking for a pair now can, grab them from eBay here.